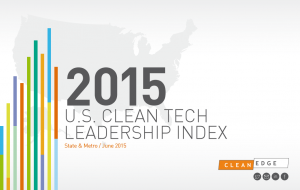 It may be hard to believe that just 15 years ago the term “clean tech” was largely unheard of. Today, the term has gained widespread usage, and is often applied to a diverse array of businesses, practices, and tools. Clean tech not only includes renewable energy technologies like wind and solar, but also electric motors, green chemistry, sustainable water management, and waste disposal technologies, to name just a few. There are several drivers behind California’s success, including the significant amount of capital being invested in clean tech research and development. In 2014, California alone accounted for a little over half of all clean energy venture capital dollars invested in the country. Not only did California have the largest total number of dollars invested, but also the most dollars invested per person in the state. California’s leadership is also due to its impressive mix of renewable energy sources, including wind, geothermal, hydro, and solar. California was the first state to see utility-scale solar reach five percent of total electricity generation, and according to Clean Edge, “it’s in solar power where the state wears the undisputed crown.” The booming solar industry has contributed to the significant job growth in the Golden State’s clean economy, which has outpaced the growth of jobs in the overall state economy by a factor of ten according to a recent study. 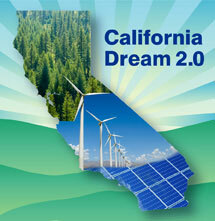 California can also boast having more electric and hybrid electric vehicles on the road than any of the other 49 states. As Rector mentioned, another factor driving California’s leadership is the state’s comprehensive package of clean energy and climate policies, which has played a large part in encouraging clean tech investment and renewable energy deployment. This month, the California state Senate and Assembly took a major step toward passing landmark pieces of legislation designed to lock in a climate pollution reduction target of 80 percent below 1990 levels by 2050 and encourage the continued role of market mechanisms like cap-and-trade in achieving the state’s long-term goals. The history of leadership demonstrated by the legislature on these issues and the support from Californians across the state is an integral part of why the Golden State is still ranked first in clean tech leadership after all of these years. What’s more, the technological innovations borne out of the investments made in California will help the state get the emissions reductions it and the planet so desperately need. 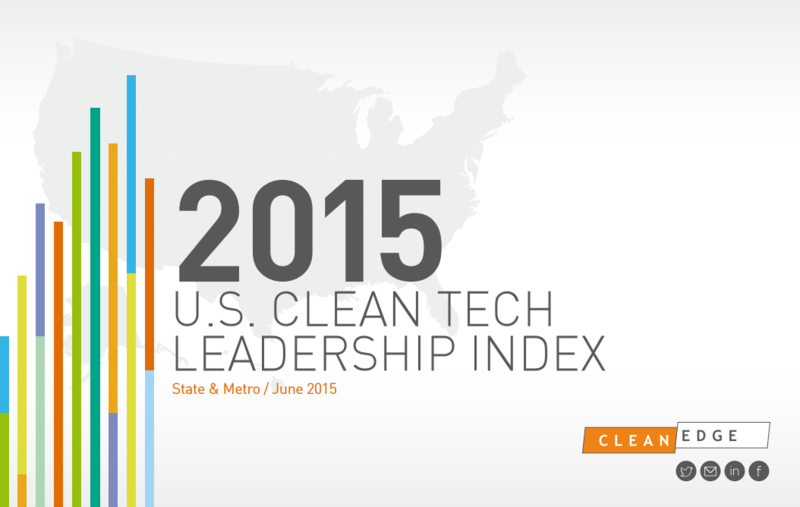 Although the clean tech sector is relatively young, it’s mighty and growing with immense momentum. With growth comes opportunity, but also unique challenges. One of those challenges is ensuring equitable access when it comes to the adoption of new and advanced technologies. It’s critically important to make sure these clean energy solutions reach low-income communities and communities of color, which are affected more severely by climate change and are often overburdened by toxic air. The solar industry is proving that it is possible to get new technologies into the hands of those that need it most. With the help of policies like SB 535 (De León), which directs proceeds from the state’s cap-and-trade program to disadvantaged communities across the state, we are hopeful that this trend will continue. This entry was posted in Clean Energy, Climate, Energy, General, Global Warming Solutions Act: AB 32 and tagged Clean Edge, Clean tech. Bookmark the permalink. Both comments and trackbacks are currently closed.